All Nora Brown wants is to teach high school English and live a quiet life in Seattle with her husband and six-year-old daughter. But one November day, moments after dismissing her class, a girl’s face appears above the students’ desks—a wild numinous face with startling blue eyes, a face floating on top of shapeless drapes of purples and blues where arms and legs should have been. Terror rushes through Nora’s body—the kind of raw terror you feel when there’s no way out, when every cell in your body, your entire body, is on fire—when you think you might die. Twenty-four hours later, while on Thanksgiving vacation, the face appears again. This time, it whispers, Remember the Valentine’s dress. Shaken once again, Nora meets with neurologists and eventually, a psychiatrist. As the story progresses, a terrible secret is discovered—a secret that pushes Nora toward an even deeper psychological breakdown. The Night Child is a breathtaking debut novel about split consciousness, saving a broken child, and the split between past and present. It’s about the extraordinary capacity within each of us to save ourselves through visionary means. Ever read a book and are totally floored by the end of the book? Well, The Night Child did that to me. I went into this book thinking that it was going to take a supernatural or paranormal bend. Well, I was 100% wrong. The Night Child is neither. Instead, what I got, was a taut thriller that had me 100% completely hooked. 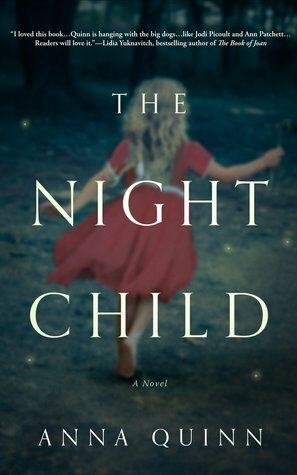 Put it this way, I started The Night Child as my nightly before bed read and I ended staying up until almost 12 am because I couldn’t go to sleep without finding out what happens to Nora. How do I describe Nora? Well at the beginning of the book, she was barely hanging on to her marriage. When she first saw the face, she did the right thing and went to the doctor, who referred her to a therapist. Slowly, I could see her sanity unraveling as she was forced to face some pretty intense memories from her past….her mother’s death and her father’s abandonment. But there were more to her memories and when Margaret made an appearance in the middle of the book, I knew that something horrible happened to her. I really wish I could go more into the plot or the characters in this book. But if I do, that would be giving away major spoilers and I really don’t want to do that. Trust me when I say that what I write here doesn’t even begin to scratch what this book is about.